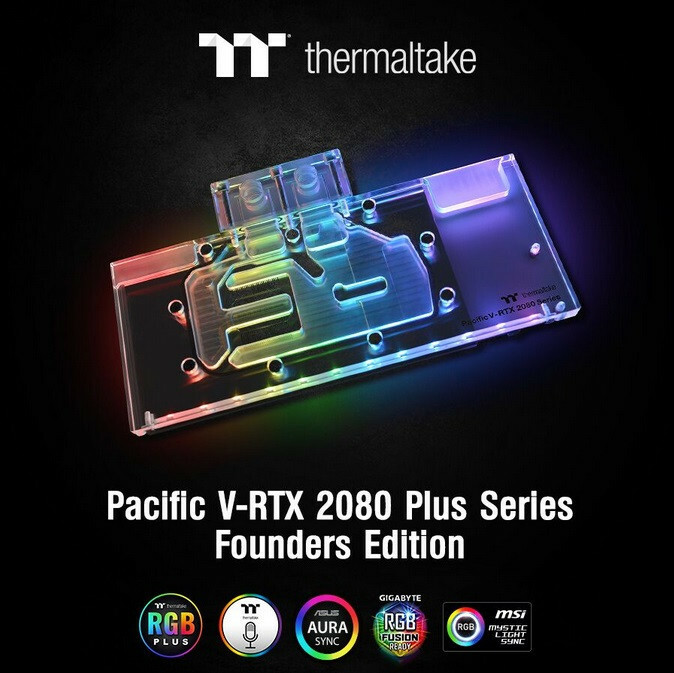 Thermaltake Pacific V-RTX 2080 Plus Series Founders Edition RGB water block is officially available for pre-order on the TT Premium website. 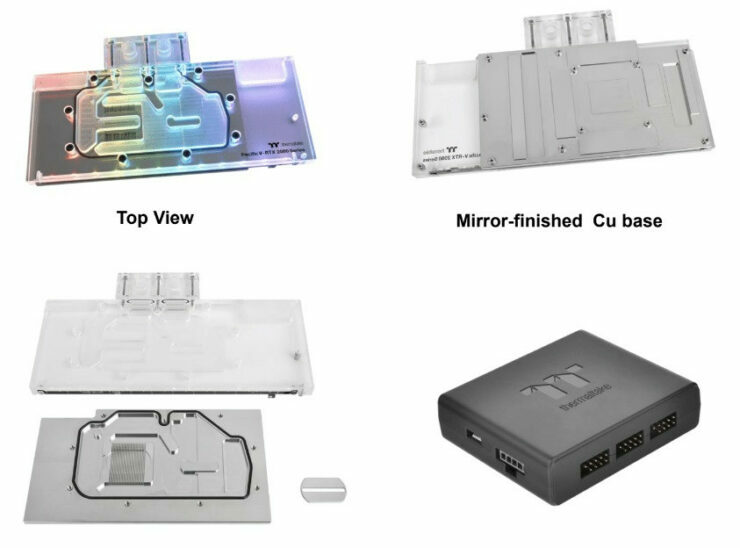 The RGB water block is especially designed for the NVIDIA GeForce RTX 2080Ti and NVIDIA GeForce RTX 2080 graphic cards to keep your card cool no matter how long or how hard you’re gaming. The Pacific V- RTX 2080 Waterblocks Plus Series Founders Edition combines style with functionality; designed with a software-controllable 16.8 million colors LED strip that allows users to customize the lighting effects through our patented TT RGB PLUS Software with the TT AI Voice Control function and Amazon Alexa Voice Service though I’m not sure how many users may end up using this it’s still a nice feature for those who would end up using it. 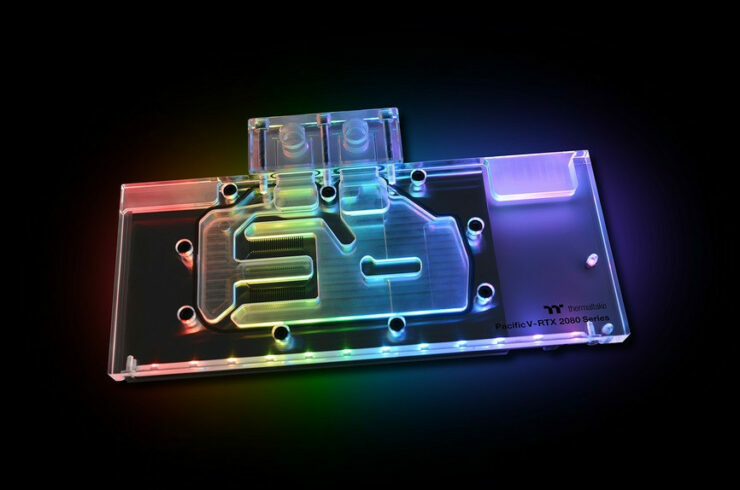 The RGB waterblock features 0.5mm internal fin construction and a high-flow water block that enables the coolant to flow directly over all critical areas, and the CNC machined copper base fully prevents corrosion to achieve unparalleled cooling performance. 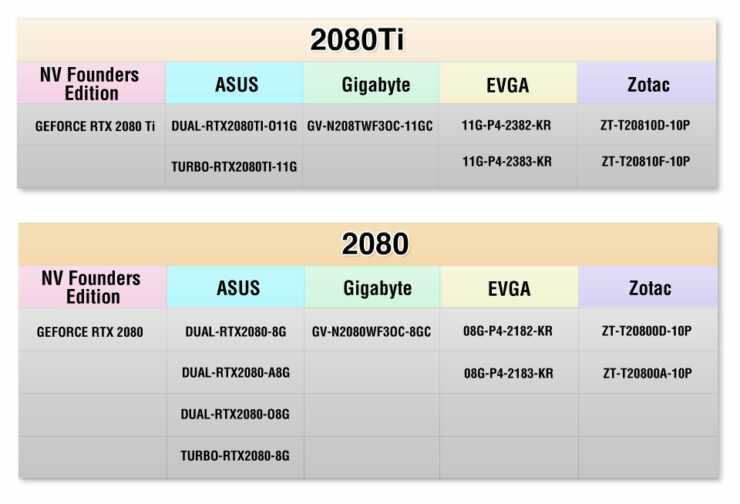 Thermaltake also took user convenience into consideration when crafting the Pacific V- RTX 2080 Waterblocks Plus Series. Through the universal mounting mechanism, users can easily install the RGB waterblock onto their graphic card without using any tools. The Pacific V-RTX 2080 Plus Series Founders Edition delivers superior cooling performance, functionality, and customized RGB style for PC builders. 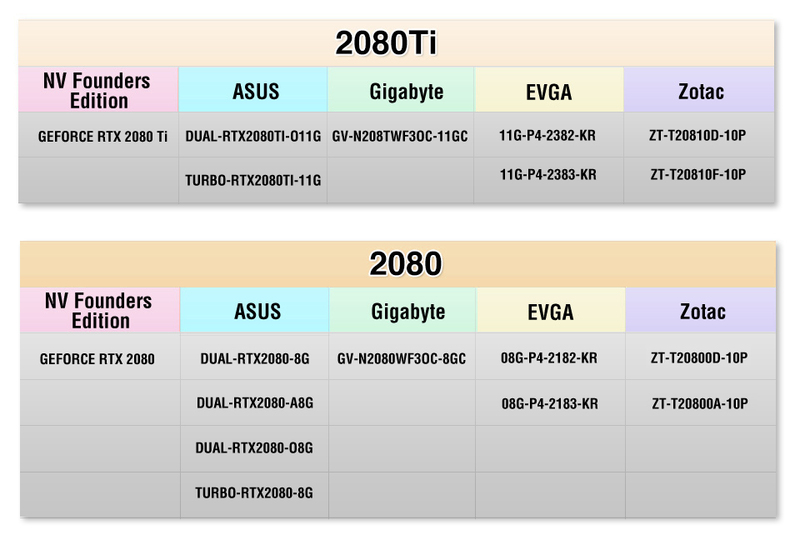 Thermaltake has also been nice enough to list us the cards that it will support in the image below. The Pacific V-RTX 2080 Plus Series Founders Edition is available for preorder starting now on the TT Premium website, and the estimated shipping date is in early October, 2018, via the Thermaltake worldwide network of authorized retailers and distributors. Pacific V-RTX 2080 Plus Series Founders Edition is backed by a two-year warranty and supported by the Thermaltake worldwide customer service and technical support network.